We arrived at the trail earlier than usual. Thinking that the Labor Day holiday would mean a mass of Friday traffic into Yosemite National Park, we left home at the crack of dawn, but were gladly mistaken. Sailing from one end of the park to the other (having entered from the Arch Rock entrance) we reached the trailhead near the Tioga Pass entry in record time. 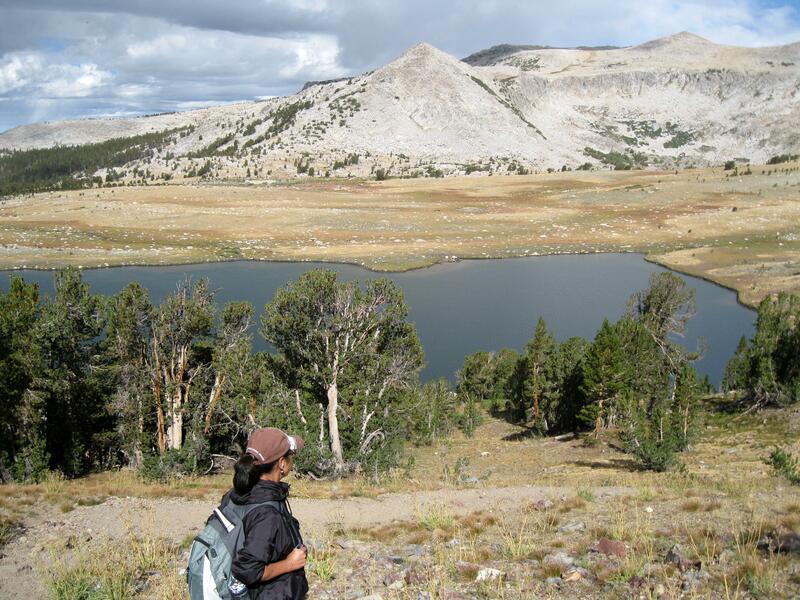 Our destinations: Gaylor Lakes, the Great Sierra Mine, and Granite Lakes. Although I do enjoy hiking alone, having someone with me on the trail ensures a security that is lacking when unaccompanied. My fun friend Mary Elizabeth (M.E.) is a great hiking partner. Today she and I, like the bear in the song, hiked up several mountains to see what we could see. The sky looked ominous as we embarked on our adventure. We heard a distant roll of thunder and—thanks to my ever vigilant friend—talked about what to do in case we were caught in a thunderstorm. Today’s outting tested our endurance, not in ability, but how much we could endure the forceful, 30 miles per hour wind. Starting at an elevation of 9,950 feet we climbed 600 feet in a half-mile up a rocky trail. The view from above was amazing. We looked over at Mt. Dana, and down at the tawny Dana Meadows. Following my lead, we veered off on a spur trail, but M.E. quickly corrected that gaffe—as a good partner would do—and aimed us back to the main trail. The path came to a plateau. 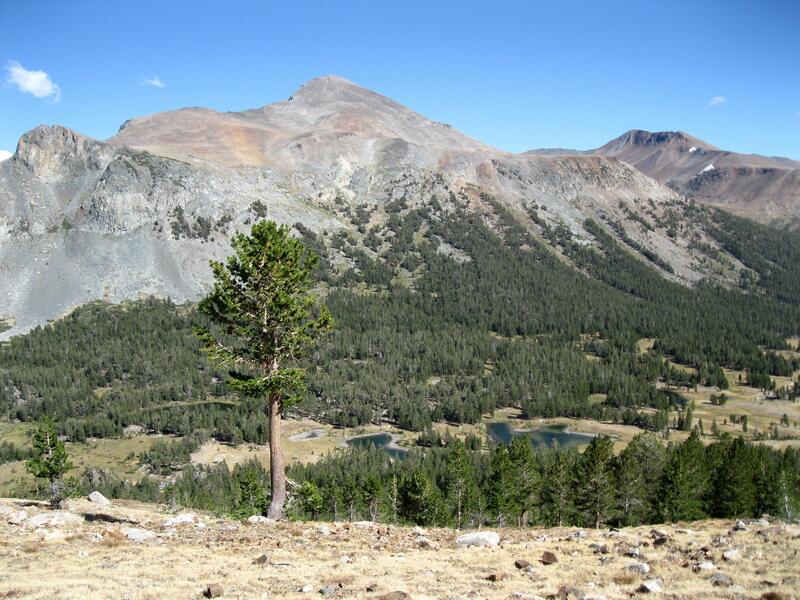 From there one could climb Gaylor Peak. We moved a little higher up until we finally conquered our first mountain, Gaylor Ridge, and saw Middle Gaylor Lake below. The trail dropped 200 feet to the lake. Coming down the trail to Middle Gaylor Lake. Looking south from the lake we saw the magnificent Cathedral Range rising above the water. We watched as dark rain clouds moved across the sky in our direction. 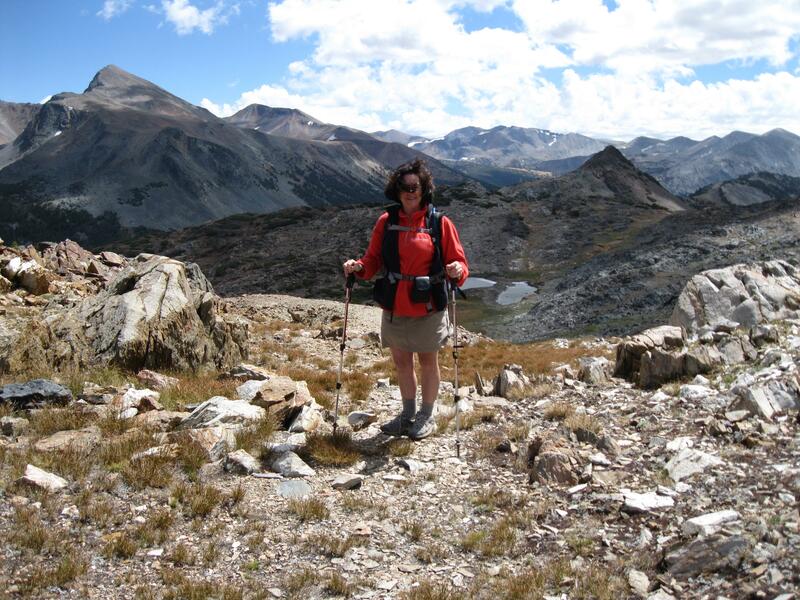 Leaving the shore-line trail, we began heading up the barren Gaylor Lakes Basin countryside to the north. 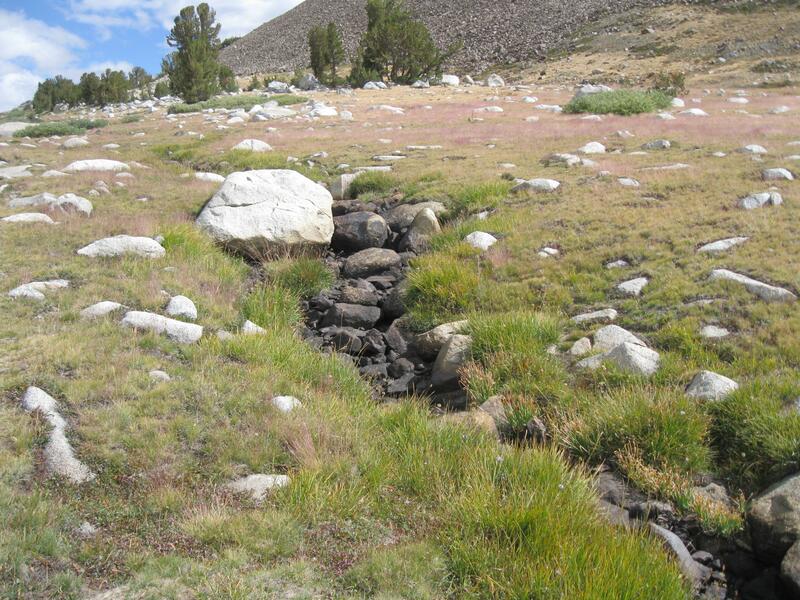 The trail skirted the dry creek bed linking Middle and Upper Gaylor Lakes. Grass of Parnassus near the creek. A rain cloud followed us as we walked, so we paused underneath a few wind-blown trees for shelter, but the breeze blew the mist in another direction. Dry creek between Upper and Middle Gaylor Lakes. Continuing ahead, we reached Upper Gaylor Lake which sat at the base of Gaylor Peak to the east. Looking north we could see the stone cabin sitting at 10,760 feet. 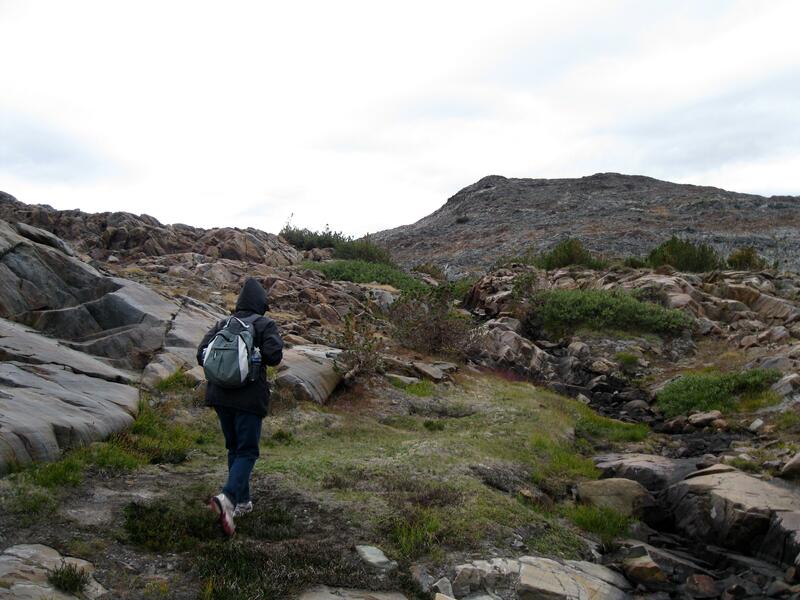 To reach the stone cabin at the top of the hill, we trekked up the old miner’s trail. 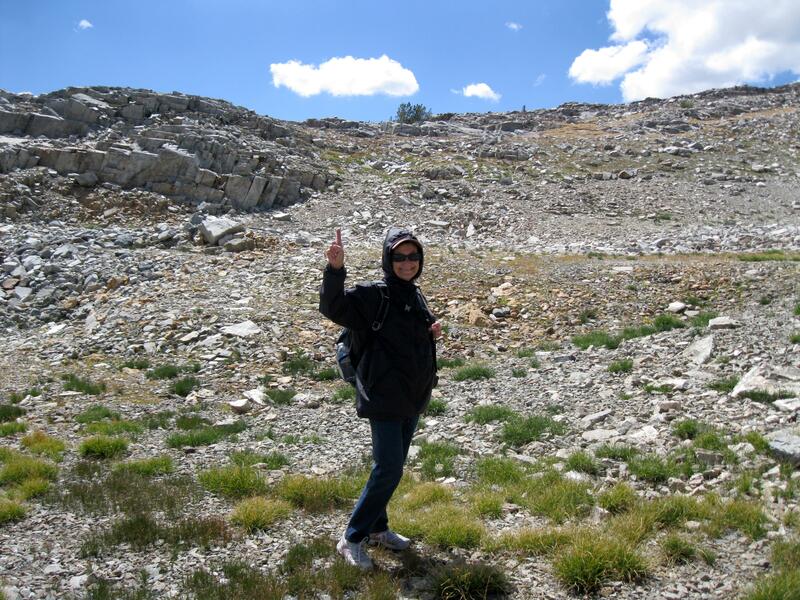 Having completed our second ascent and now on top of Tioga Hill, we were ready to explore the historic Great Sierra Mine. This was where the official trail ended. On top of Tioga Hill looking down at Upper and Middle Gaylor Lakes. Gaylor Peak (L), stone cabin (R). In addition to the cabin at the top of the hill, we saw the ruins of several other stone buildings. 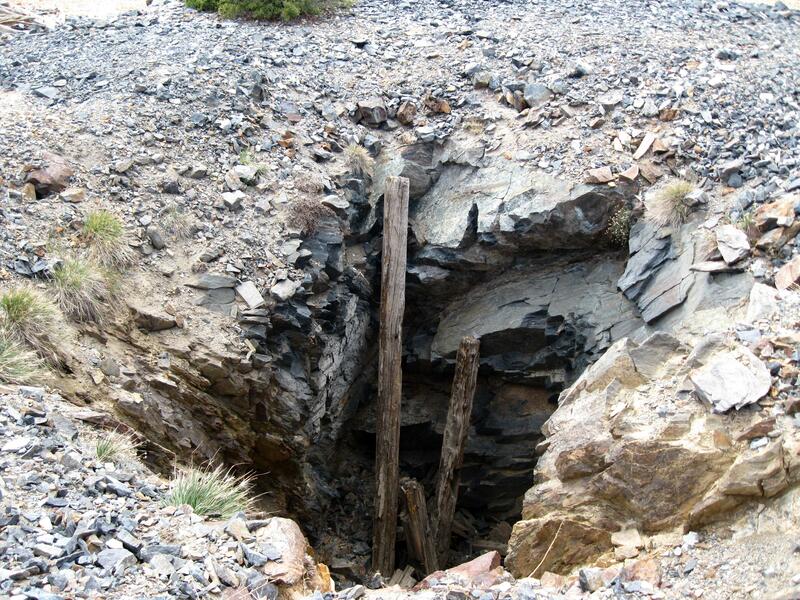 We wandered around looking down numerous mine shafts that had collapsed, and noticed that none of the holes were secured. From above we spyed two unnamed ponds. Mary Elizabeth walking between the ponds where the terrain was like quicksand. Continuing our exploration of the Sierra Crest, we headed down a rocky hill away from the ponds and east toward Bennettsville. According to the map, it looked like we were walking out of the park’s boundary. The map showed that we were surrounded by mine shafts. 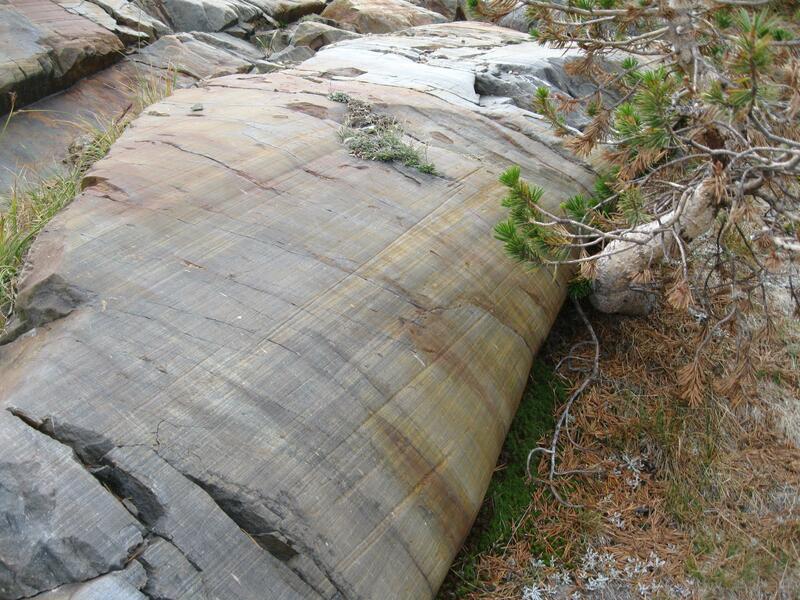 Mysterious and colorful rock formations adorned the area. Interesting rock that was smooth to the touch. We headed back to the ponds by following a dry stream bed uphill, and successfully claimed our third mountain ascent. Walking back to the ponds. 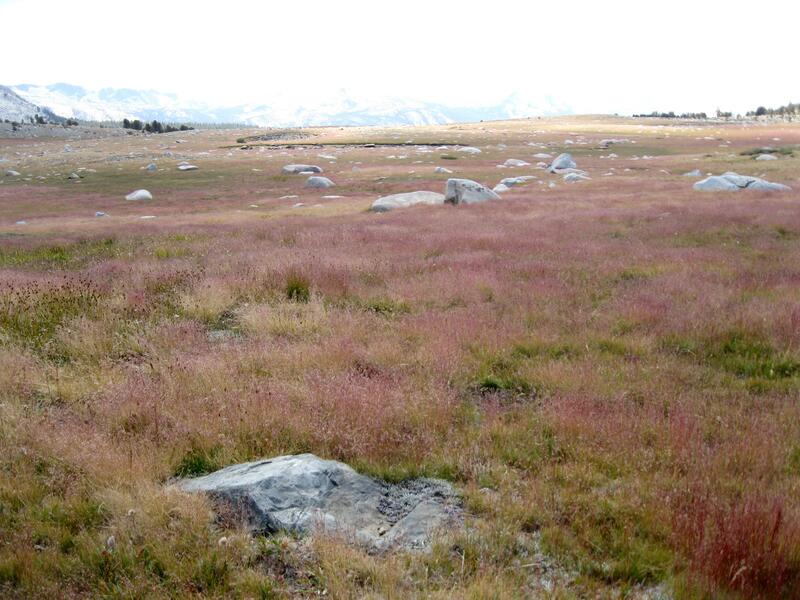 The wind beat at us in the meadow, but the threat of rain had vanished. I was eager to walk up another mountainside north of the ponds thinking we could get to Granite Lakes from there. Uncertain, M.E. stayed while I quickly paced through the field to have a look. Mary Elizabeth waits while I check out another mountain. My adventuresome friend—a great trait in a hiking partner—caught up with me and agreed to bag another mountain in hopes of finding the lakes. When we reached the top of number four, we saw nothing more than a col. Disappointed, we found shelter from the wind and sat for lunch looking east towards Lee Vining and the Mono Lake area. We ate lunch in this cove. While we ate, we played the child’s game of what shape could we see in the clouds. We talked about going up the grassy mountain to the north of us. It looked like a very easy ascent with a rewarding view from the top. We finished lunch and headed up. Saddlebag Lake in the distance. On the exposed mountainside, the wind hammered us and caused M.E. to don two hoods and put tissue in her ears. When we reached the apex we were elated not only for having hiked up our fifth mountain, but the panoramic picture before us was incredible. 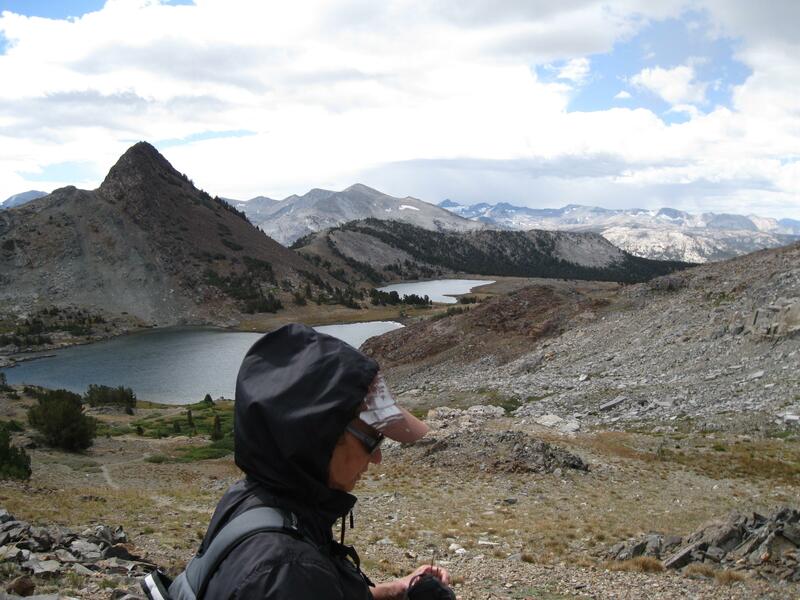 Looking north we could see Saddlebag Lake as well as North Peak, Mount Conness and White Mountain. Looking south it felt like we were face-to-face with Mount Dana, the second tallest peak in Yosemite. On top of the windy mountain. Our adventure was coming to an end. 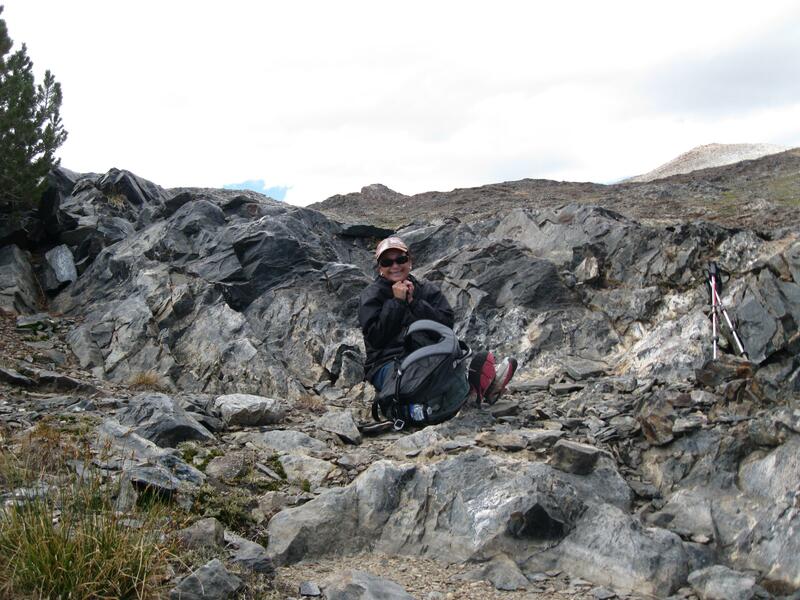 Even though we didn’t find Granite Lakes, I was content in the fact that we enjoyed the surroundings, the flora and fauna, the geological features and mining relics, even the clouds in the sky. As we made our way back to the official trail, M.E., a good map reader—always handy in a hiking partner—perused the map and proclaimed that she’d like to climb one more mountain if I was game. 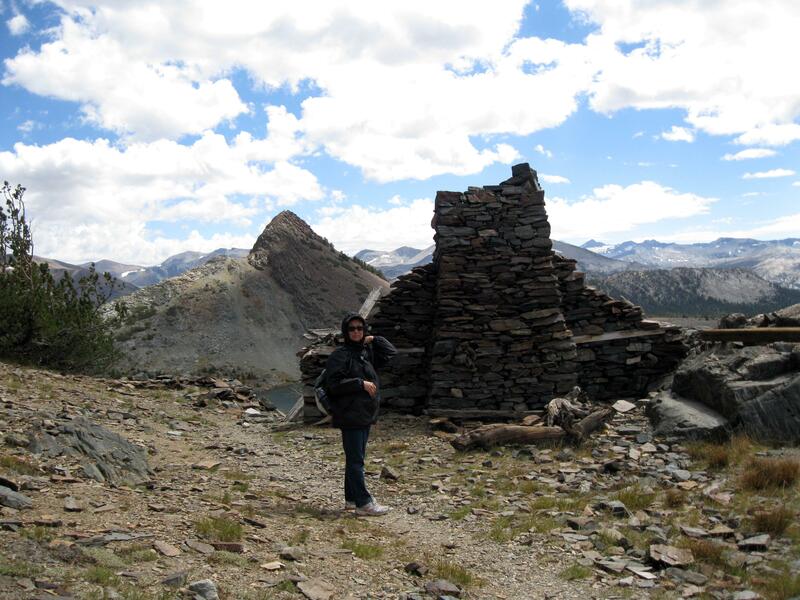 She was certain that Granite Lakes were over the crest east of the stone cabin. We began climbing the talus of our sixth peak. When we reached the top, we startled three grazing deer and they pranced away. Then to our great joy, Granite Lakes came into view. If we had, in the very beginning, continued walking west instead of taking the trail to Upper Gaylor Lake, we would have reached Granite Lakes. 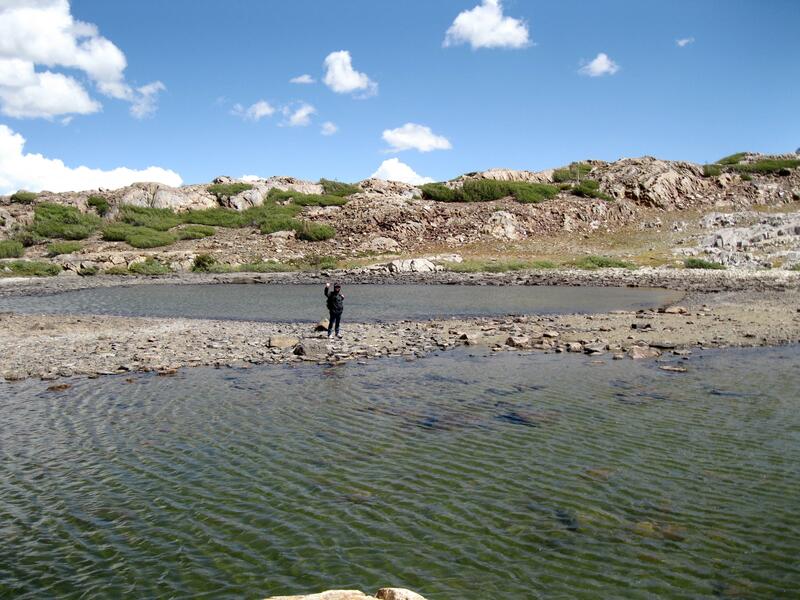 The two lakes were hidden in a glacial cirque behind a low ridge about a mile away. The wind on the ridge continued to pound and batter us. Satisfied with our quest, we decided not to walk down to the lake shore. 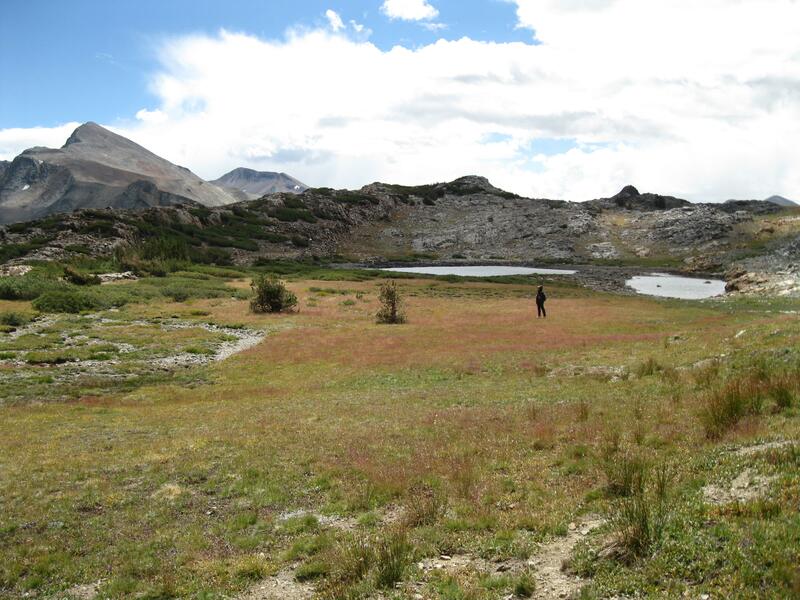 Marmots ran from boulder to boulder as we walked through the barren meadow of the Gaylor Lakes Basin. The colorful meadow is beautiful. The sky had cleared by the end of the day. Wind burned, but pleased that we had reached all of our destinations and more, we agreed that it was our best and most fun hike yet. 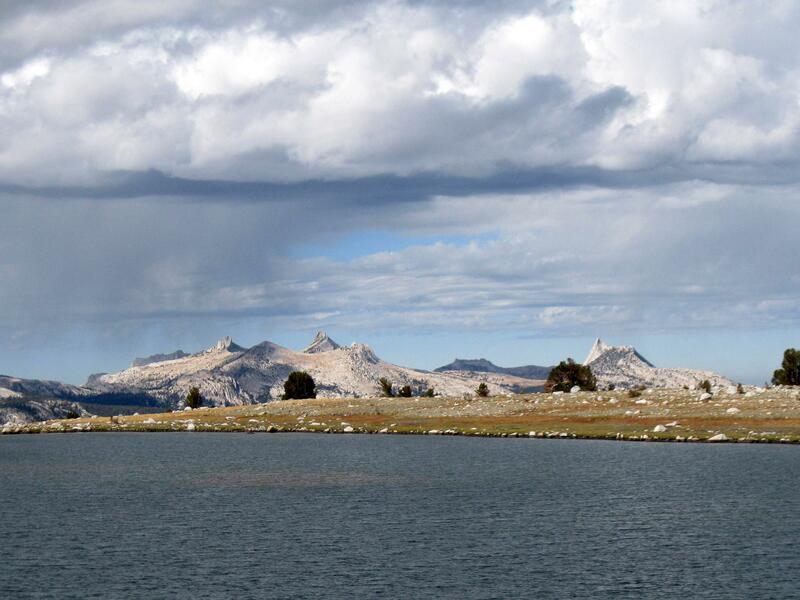 “Doubly happy, however, is the man to whom lofty mountain tops are within reach.” –John Muir. 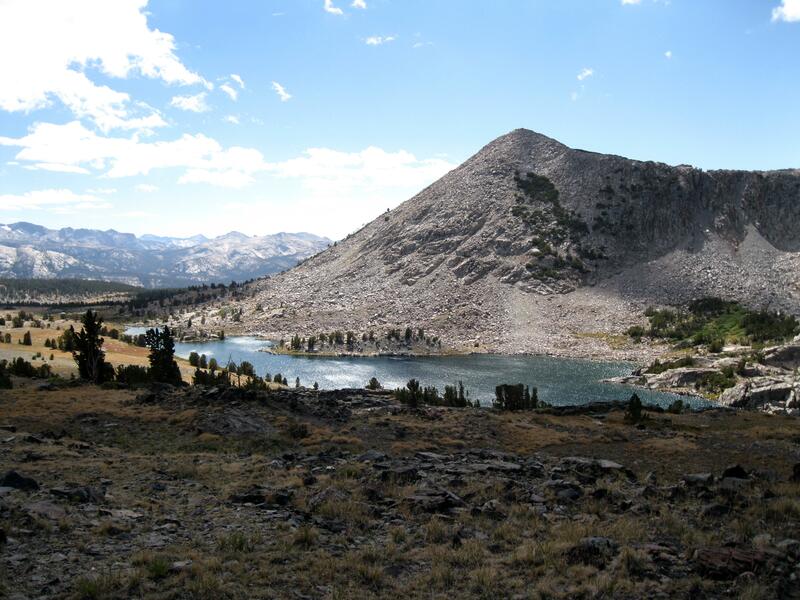 This entry was posted in Yosemite Hikes and tagged Gaylor Lakes, Granite Lakes, Great Sierra Mine, Hiking, Mt. 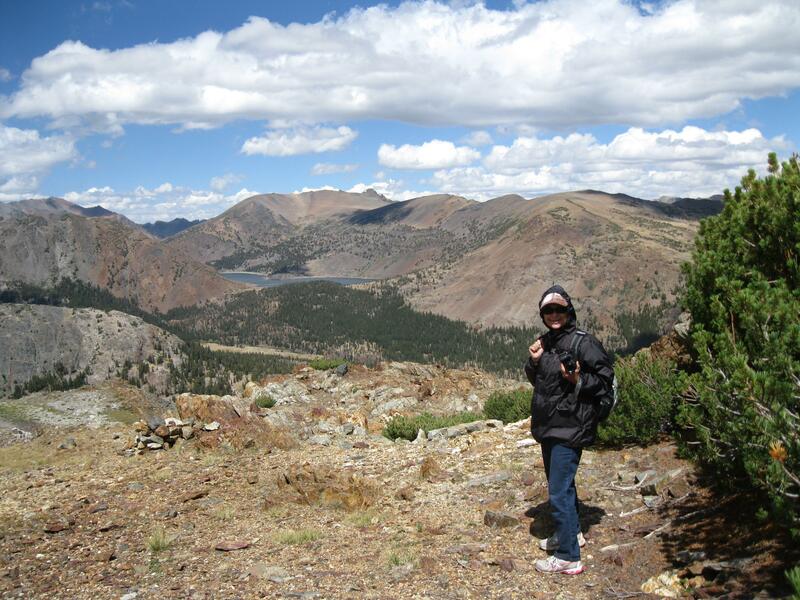 Dana, Tioga Pass, Yosemite on September 2, 2012 by Janet. Beautiful pictures! 🙂 I saw you liked one of my posts and had to stop by! Really? Wow, I’m glad! I hope you enjoy them. 🙂 Glad to be of service. Thanks for following along. Yes, it’s quite a beautiful area. Gotta take advantage of it while we can. 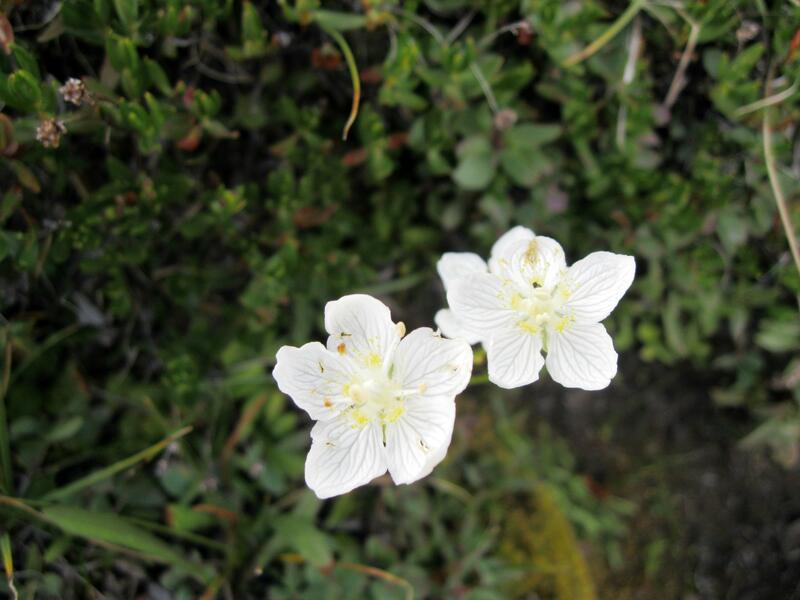 You found Parnassia — I was looking for them all around Lakes Basin where I’d seen them year after year, but it seems they were delayed this year. Lovely to see that photo. I’m regretful we had to leave the field so early and your photos and blog make me even more so! Sounds like you love wildflowers too. There weren’t many flowers there that day, but just a few parnassia left along the dry creek. Do don’t recall ever seeing them before.